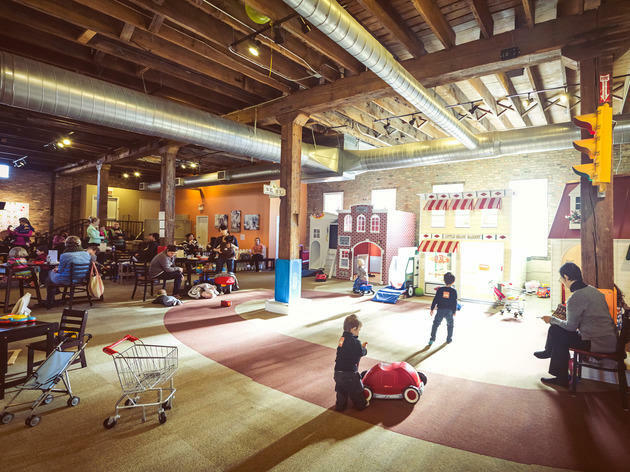 Located between Lincoln Park and Bucktown, this popular play space ($12/visit) and cafe has a fire station, grocery store, tons of costumes and so much more for the kiddos. 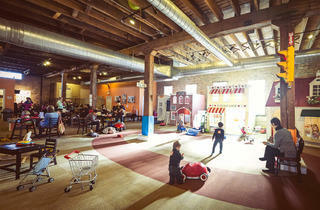 Even better: There is wireless for parents who need to get some work done, plus tables and couches inside the play area. There's also an indoor café next to the windowed playroom that serves food and coffee. I absolute love, love, love this place! We have been a hand full of times, but its great. My daughter is 4 and she has such an imagination and loves playing dress up and hanging out with new kids. This is an especially great place for moms or dads who work from home because they have Wi-Fi and you can work. There is so much for them to do and so much space for them to run around and get all that energy out. I can’t say enough good things, I wish it closer to my house, but it’s worth the trip!